The innovative nature of Métis people has been a cornerstone of their identity since their emergence in the 1780s. Perhaps the best example of the Métis’ adaptive nature is their traditional culture, which seamlessly blends Cree, Ojibwa, French-Canadian and Scots parent cultures into a vibrant synthesis. Most specifically, this relates to language, particularly Michif, which is a mix of Cree verbs and verb phrases and French nouns. Another example of the Métis’ adaptive nature in relation to their traditional culture is their Oral Tradition. Métis storytelling blends Algonquian creation, trickster and cannibal stories with French-Canadian folk stories about werewolves, Ti-Jean (the hero figure) and the devil. This flexibility is also prevalent in fiddling, jigging and square dancing traditions, which blend Scots fiddling and French-Canadian and Scots step-dancing with Cree and Plains Ojibwa rhythms and footwork. Being from both Indigenous and settler traditions, the Métis have always had the ability to “live in two worlds,” and have been able to adapt to changing circumstances. Because of their understanding of both Indigenous and settler cultures and languages, the Métis have long served as intermediaries between their First Nations kin and Euro-Settlers. For instance, many translators in the numbered treaty process on the Prairies and in northwest Ontario were Métis. Other Métis served as guides and scouts for various expeditions on the Prairies, brokering relationships among First Nations, Europeans and Euro-Canadians. In other instances, the Métis wrote petitions to the government to have their rights protected as Indigenous residents, but they also asked to have their property rights protected — which was considered a settler right. They also petitioned to have the rights of the First Nations recognized. 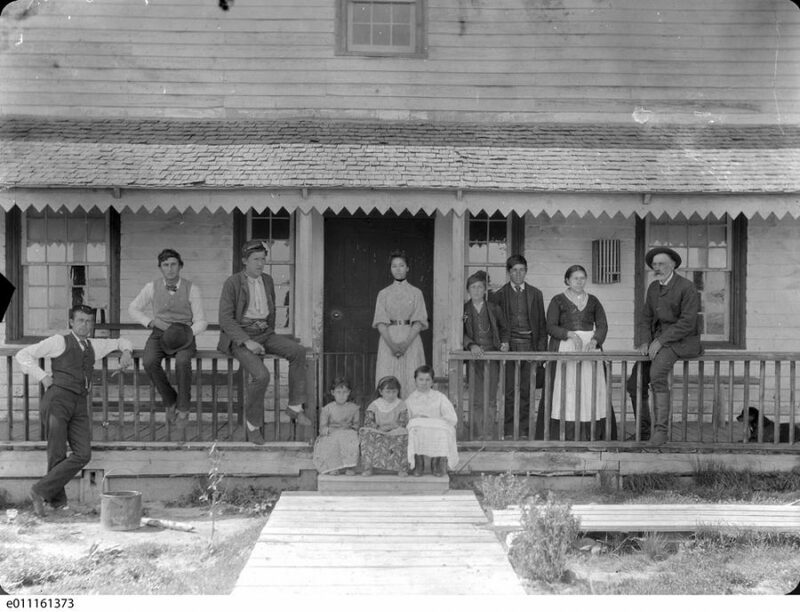 Photo of an unidentified family believed to have been taken at Osnaburgh House, Ont. Many Métis had flexible identities that could be adapted when circumstances required it. For instance, the historic Métis always had a core Métis identity, but some also had poly-ethnic identities. Having fluid identities, some Métis blended into Cree and Ojibwa bands, as well as identifying and fitting into French-Canadian and Scots societies when required. Many of the First Nations bands on the Prairies have Métis ancestry and many francophones in Western Canada have Métis ancestors as well. Because of the racism of Prairie society, some Métis — especially if they had lighter-coloured skin and a more stable economic base such as a farm or a business — hid their Métis heritage and claimed to be French-Canadian or Scottish. This is an example of the Métis using their adaptability to fit into a racist society. Many contemporary Métis are reclaiming their cultural identity. The Métis used their adaptive nature when they enlisted in the Canadian military, particularly during the First and Second World Wars. Traditional skills such as hunting, trapping and guiding meant that the Métis could easily fit in, and many Métis became snipers and elite soldiers who worked behind enemy lines. Their ability to adjust quickly helped the Métis create opportunities and fill in key economic niches. For example, the Métis saw that there was a need to haul freight in Red River carts for the early settlers before the railways and their branch lines were established. When the bison disappeared from the Plains, the Métis quickly recognized that bison bones made excellent fertilizer. The Métis began to pick all the bones off the prairie and sell them to fertilizer companies. Similarly, the Métis picked Seneca root because there was a large demand from pharmaceutical companies to use the root in medicines. Generations of Métis were involved in this laborious task. Métis have changed with the times, restoring, preserving and promoting their culture through the use of modern media and technology. For instance, the Métis Oral Tradition has been adapted by contemporary Métis writers, poets, playwrights and filmmakers who continue to tell and share Métis stories in meaningful and interesting ways. The use of modern media (including digital media, graphics and design, and social media) by Métis storytellers demonstrates the Métis’ ability to tell traditional stories in innovative ways. 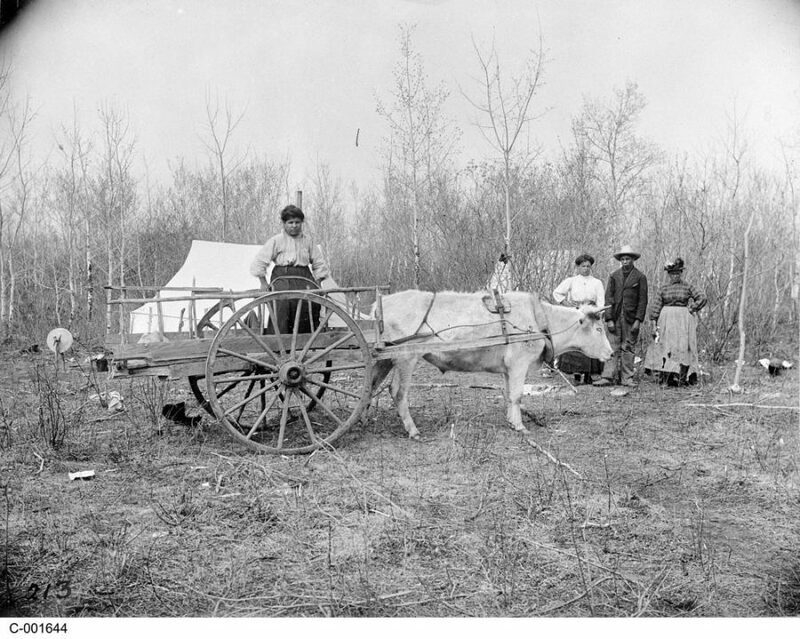 The Red River Cart is renowned as an example of early Métis ingenuity. The Métis are also using modern technology to preserve and promote heritage languages such as Michif. For instance, the Gabriel Dumont Institute has developed Michif smartphone and tablet apps and interactive online dictionaries to preserve Michif. The Métis are now using their adaptive nature to restore and strengthen community and family relationships shattered by colonization, the aftermath of the 1885 Resistance, the residential school system, and the Sixties Scoop by using social media and online forums. In the process, kinship networks are being restored and “lost” family members are returning to their families and communities. The use of modern media (including digital media, graphics and social media) by Métis storytellers demonstrates the Métis’ ability to tell traditional stories in innovative ways. The Métis are also using modern technology to preserve and promote heritage languages such as Michif. 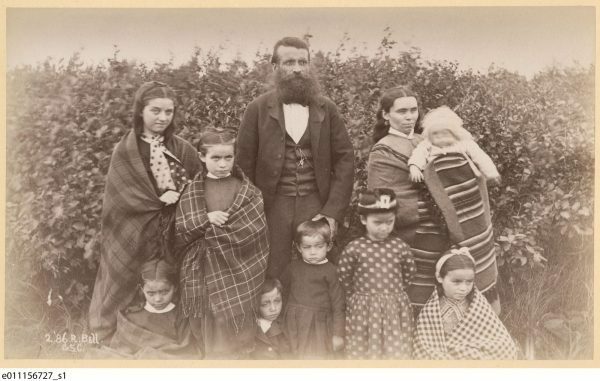 A historic image of what’s believed to be a Métis family.